The tailgate on a truck was nothing but a fold-down door you could sit on that extended the bed a bit if you needed more room, at least until recently. That all changed when tailgates started to do more with the latest generation of American fullsize pickup trucks. 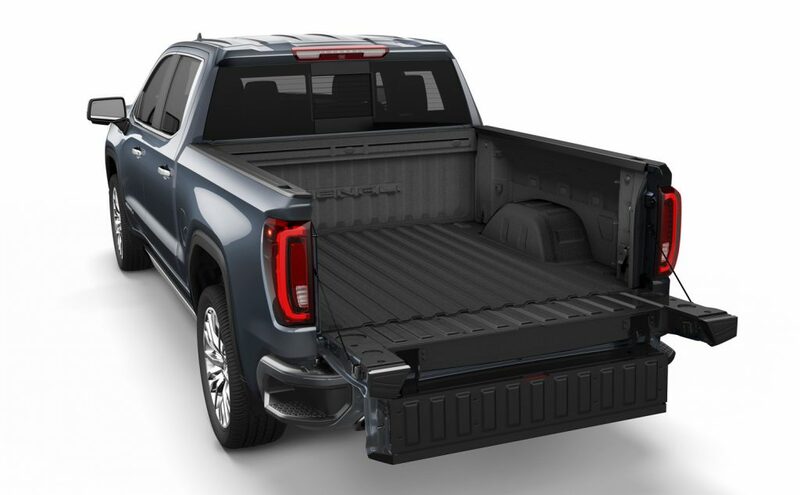 GMC unveiled the fancy MultiPro tailgate for the 2019 Sierra. The MultiPro tailgate folds down like a regular truck tailgate, but then has a section that folds down further turning it into a step to make getting in and out of the bed of the truck a much easier affair, especially as these already big trucks continue to get bigger. The GM offering also has components that act as a load stop to prevent items from sliding out of the bed, and can be used as a standing work desk if needed. Ram has now stepped in and is offering a tailgate that is different than what GMC offers. 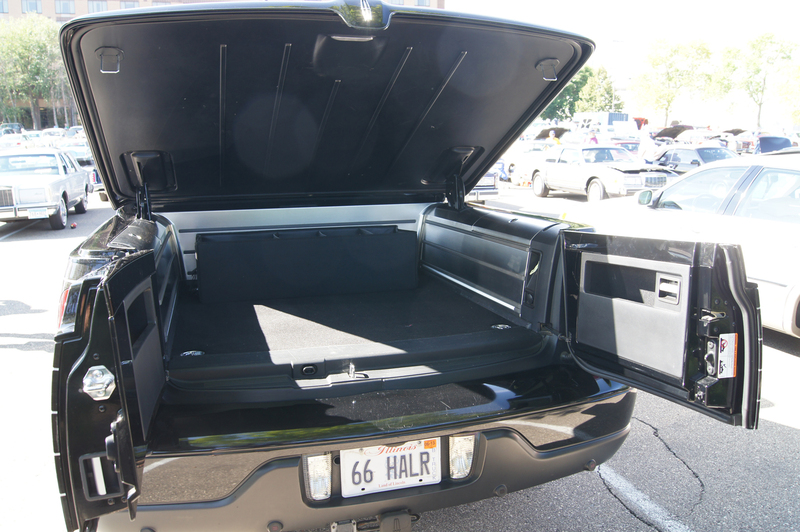 The 2019 Ram 1500 can be optioned with a tailgate that is called the multifunction tailgate with a 60/40 split opening option that Ram says can open fully even if a trailer is attached. That means that when the tailgate is open, one or both of those sections can be opened like the doors on the back of a cargo van. The tailgate also folds down just as a regular tailgate would, and supports up to 2,000 pounds. Ram offers the optional tailgate on all trim levels for the 2019 Ram 1500 for $995; an optional center step is $295 reports sister site GM Authority. Both tailgate designs can be seen as answers to the integrated Tailgate Step system offered from Ford, where bed access is made easier from the back end of the F-150 in just three easy steps. Ford has offered this aptly nicknamed “Man Step” since the introduction of the aluminum-bodied F-150 in 2014. With both Ram and GMC offering tailgates that perform more than normal tailgate duties, fans might be wondering, where is Ford’s answer? So far no Ford F-150 tailgate does more than what a standard tailgate offers. That said, Ford Motor Company fans can argue that the Lincoln Blackwood was the first to the alternative tailgate party. That truck had a split tailgate that swung open back in 2002 and 2003. One could also argue that if that tailgate worked well, or had functionality that offered more to consumers, the Ford F-150 would have received a similar tailgate many years ago. Whether or not something comes to Ford F-150 trucks today likely depends on how well received the Ram and GMC tailgates are. That said, a party trick tailgate may not make it into this generation of F-150. This is because Ford Motor Company is set to debut an all-new F-150, reportedly in 2020. With the F-Series being a continued leader and innovator in the segment, it’s likely that the truck could have a revolutionary tailgate design that goes beyond the latest entries from Ram and General Motors. Stay tuned for more. Pickup trucks are getting so far removed from their original roots. I gave my old style Ford Ranger to my son after 100,000 miles and still running great and my wife treated me to a new pickup. I finally found one and the reason it was hard is that all I wanted was a crew cab, radio, auto transmission, am/fm radio and bedliner. and tow pkg.Cruise control was standard along with pwr windows, but basically this is a BASIC truck. I have done so much with this truck from hauling mulch for the wife’s garden, to moving furniture to my condo, etc. I don’t baby it but maintain it to the highest standards. Today’s pickups with a price tag of 40-90 thousand dollars are not TRUE pickups but LUXURY Mercedes style trucks. Who is going to get in these trucks with muddy boots, and haul gravel or dirt in the bed, They are not made for that. I do all this with my truck. They are toys, not trucks. The industry pushed everyone into trucks at the expense of cars. Historically pickups have enjoyed higher profit margins than cars. When they bloat these vehicles with (un) necessary options not only does the MSRP balloon but the profit margin increases dramatically. I’m with you, I don’t want or need half of the options available today. I tend to believe these will not hold up over time an may become useless.